After the rainy drive from Tofino and Ucluelet, we made it all the way back to the east side of Vancouver Island and spent the night at Rathtrevor Beach Provincial Park just south of Parksville. Wow – what an amazingly beautiful park! It is 3km south of downtown Parksville and is a highly wooded park that sits right on the ocean. The campsites and facilities are immaculate and there are over 5km of trails to walk, hike or bike. Between a morning of homework and some quick rides on the trails, we didn’t manage to leave until just before noon. 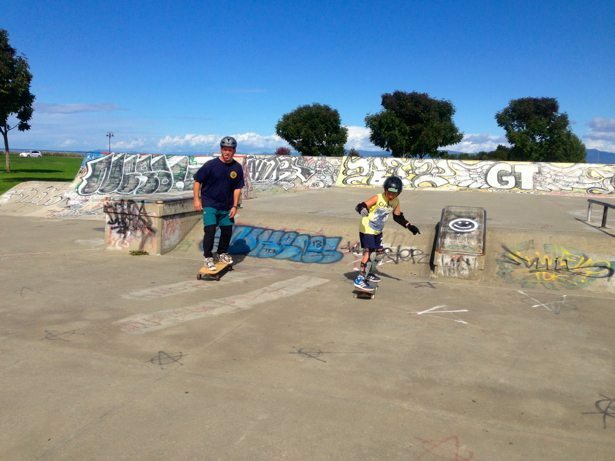 This was planned to be a quiet day with our only real stop being the Parksville Skate Park as part of Hunter’s new addition to the activity list. 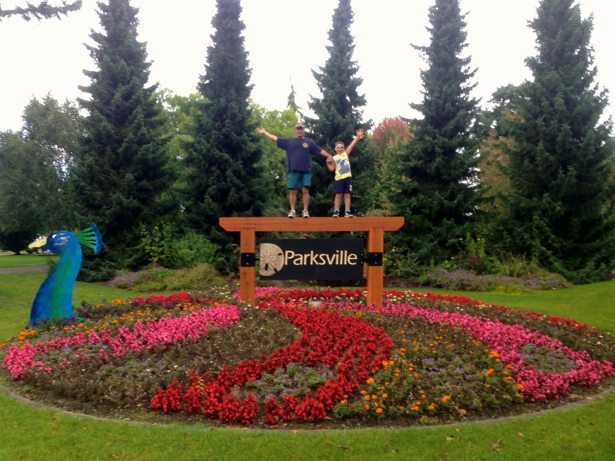 The Parksville Skate Park is part of the main community park, which contains baseball fields, play grounds, fitness park, water park, arboretum, skate park, public beach and boardwalk and more. Pretty impressive for a small town. Hunter’s comment was that “this is like all the parks in Whitehorse put together!” and that pretty much sums it up – definitely something for everyone! We highly recommend a pit stop in Parksville. I’m sure it’s quite jam packed in the summer time but off season gives you all the same family friendly experiences with waaay less people!